Lil Peep first came to my attention early in 2017 when a friend sent me a link to his song “Crybaby” and asked, “Have you heard this guy?” A quick dive into his music revealed a tattooed kid singing vulnerable lyrics over trap beats and guitar samples from scene favorites. It was intriguing. Going through the articles about him revealed a hint of shade thrown at his quickly mounting success. A tinge of, Really? This guy? 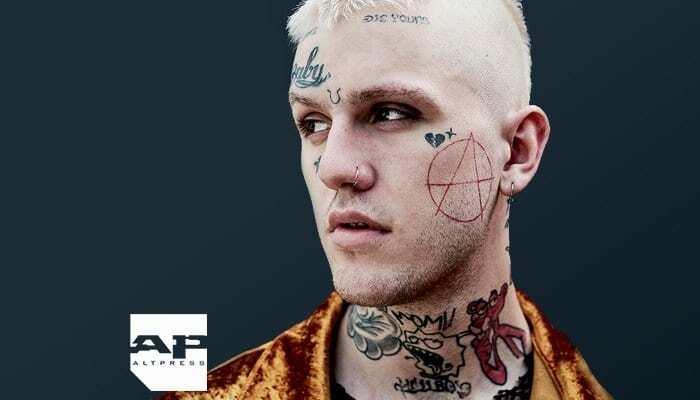 That it was uncool to like Lil Peep. We’ve never really cared about that. Don’t forget that it was once uncool to love Fall Out Boy and My Chemical Romance, too. And like those artists, Peep connected with youth culture on a level that most radio programmers and music industry executives could never really understand. 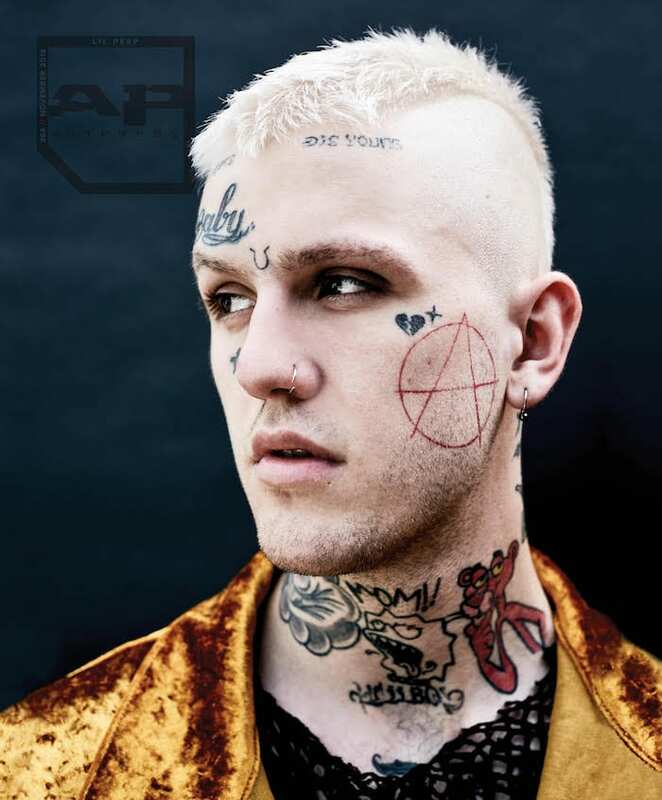 And to be honest, it didn’t matter if they did: Peep had zero interest in appeasing them or the cred police, and his authenticity and refusal to follow conventions of what the world tells us is “cool” is ultimately what made him so attractive to a generation inundated with marketing campaigns telling them how they should be. After months bombarding coworkers with every new article about him, I arranged for our staff to attend his performance in Cleveland and for Peep to visit our office the following day. As we watched him play a room packed with sweaty, screaming fans, we knew we were witnessing something special. I would imagine it was how people felt seeing twenty one pilots play a VFW hall in their early days. When he arrived at our office with some members of his team, I remember how it took him a moment to open up. He was wearing sunglasses, a Hello Kitty pom-pom beanie and a bedazzled hoodie. He was also holding a Burger King Whopper that he carried around with him the entire time. As everyone talked in the kitchen, he sat quietly on the edges taking it all in. I went over and asked if he’d like to see the rest of our office. As we walked down the hall with all of our covers hanging on the wall, he stopped at a Red Hot Chili Peppers issue and talked about how he always listened to them with his mom. I showed him the first issue of AP I ever bought—which was Good Charlotte—and he talked about how much he’d love to do a tour with them one day. We didn’t know what to expect from Peep’s visit. We heard he wasn’t a big fan of doing press and sometimes he might not even show up. But after spending a few hours talking, laughing hysterically as we filmed video interviews and toasting with orange juice and champagne that he brought to celebrate his birthday a little early, everyone was totally charmed. As he opened up more, we saw the kind-hearted kid behind the face tattoos and sad lyrics. We saw a bright, talented young man who lit up as he spoke about all his plans for the future. We saw someone with a vision of how he wanted his art to progress through different eras and his creativity to transcend music into the realms of fashion and acting. By the time he left, we all knew there was a lot more to him than what had been previously written, and we were excited at the opportunity to work with him to tell his story. We are thankful his family and team were gracious enough to let us honor him with this issue. We saw what all of his loving fans, friends and family did. And that is how we want him to be remembered.